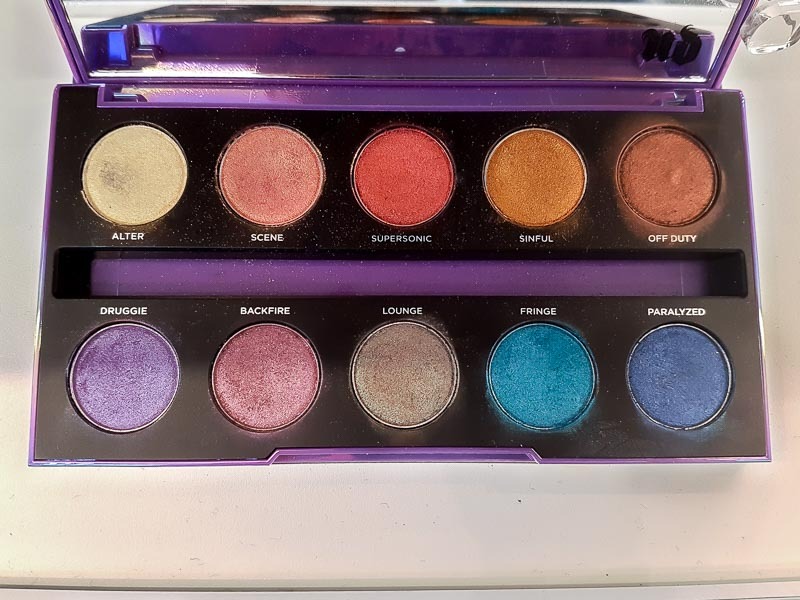 The eyeshadows in this palette range from lovely soft neutrals to shimmering rich purples and blues. 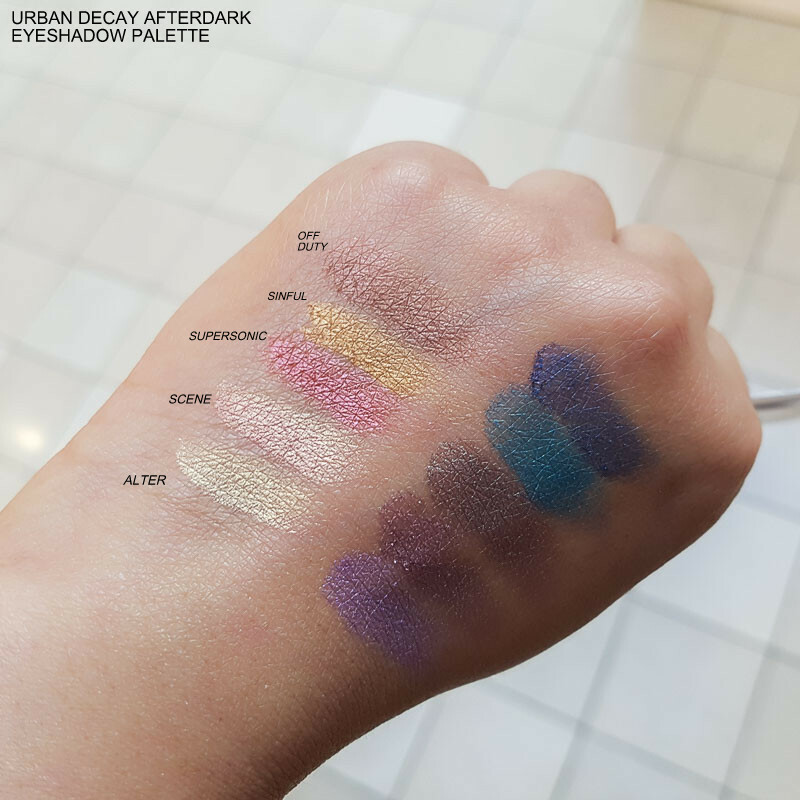 There is a color for every makeup mood, and the eyeshadows can be worn as sheerer washes of color or built up and blended together for a more vibrant makeup look. There are no matte shades or the usual black eyeshadow in there, but having read enough people complaining about yet another boring brown and black using up valuable palette space, I don't think that should be a problem. The eyeshadows feel smooth, are quite pigmented, and seem easy to blend without much fallout. 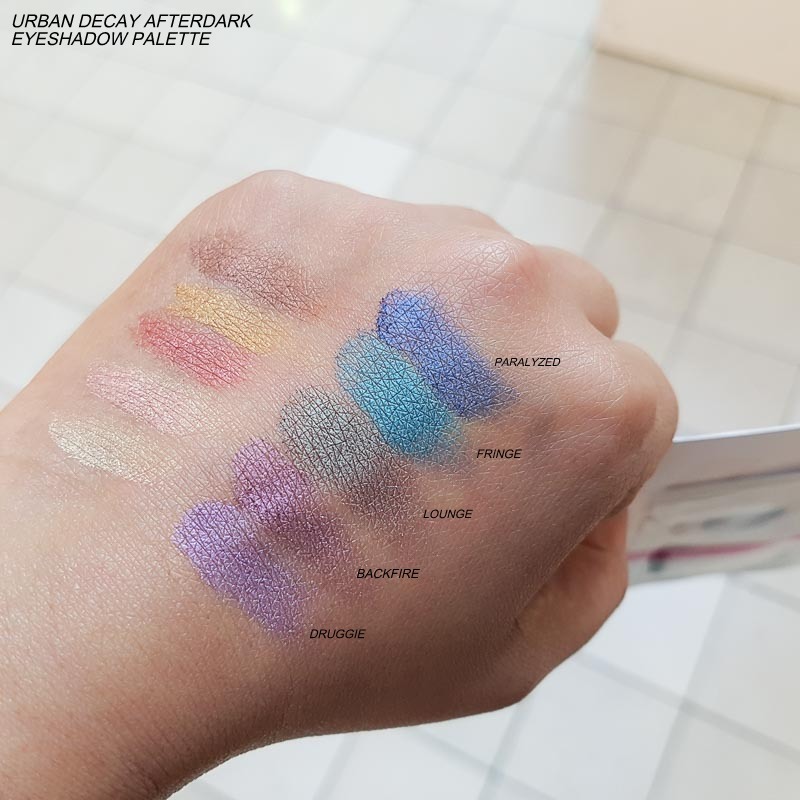 Overall, another beautiful palette from Urban Decay. On a side note, who comes up with names of these eyeshadows? Between NARS and Urban Decay, I have typed some strange names!